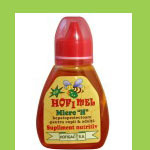 Honey Hofimel Hepato-protective - protective role in liver disease - Overview Hofigal 300gr honey containing active principles of artichoke (Cynara scolymus) metabolically processed by bees, sea buckthorn oil and essential oils. Indications Suggestions: food supplement recommended insurance required Two nutrients and substancesoactive that the complex functional properties of their diet confers a protective role and improvement in liver disease, digestive and urinary infections. Contraindication: diabetes Caution: during pregnancy and lactation period, children up to age 5. The appearance of undesirable product is discontinued and is recommendedManda consulting your doctor or pharmacist. 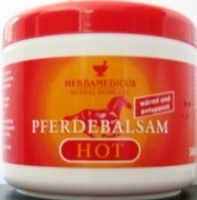 Shares dietary supplement product designed to support metabolic functions of liver cells, to stimulate the process of detoxification and elimination of substances with hepatotoxic effect, stimulating bile secretion and flow through elimination and choleretic action colecistochinetica, control of simpleTome of dysfunction and urinary and digestive infections by anti-inflammatory and antiseptic. Administration product is a dietary supplement and not replace a varied and balanced diet. Composition: Contains active principles of artichoke metabolically processed by bees, sea buckthorn oil and essential oils .Indications are protective and improvement in liver disease, digestive and urinary infections. It is a nutritional supplement for children and adults.